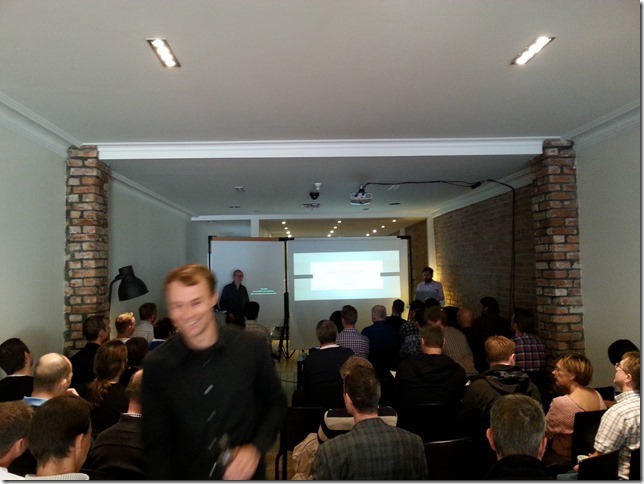 Yesterday, on September 12th, we arranged a Visual Studio Community Day 2013 at Mesh in central Oslo. The agenda was in two parts, first we talked about how you can improve your delivery cadence by using Visual Studio ALM. We had a lot of fun presenting and we got some great feedback during and after the event. Here is a picture showing me, Terje Sandstrom and (in the foreground) Lars Nilsson who hosted the event. Thanks to Microsoft Norway for arranging this event!